applications, VETUS bronze cooling water strainers are an ideal solution. 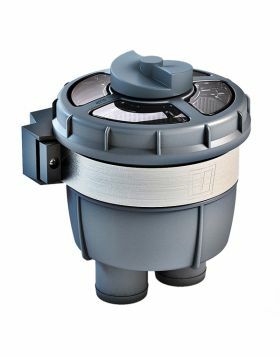 Like other VETUS water strainers the cover is transparent, allowing easy inspection for blockages. The cover is removable by simply unscrewing a single central knob. The hose connections are angled 45° and rotate through 360°. The strainer is side mounted. A water drain is provided for winterisation. Fresh or saltwater maximum water temperature 55°C.